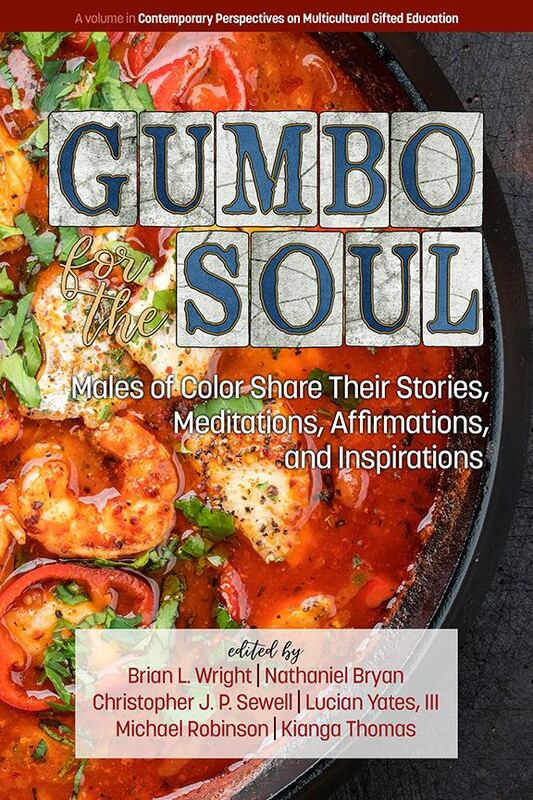 Dr. Mike Robinson: What is the name of your chapter in the soon to be released book Gumbo for the Soul: Males of Color Share Their Stories, Meditations, Affirmations, and Inspirations? Dr. Michael Robinson: Why did you decide you share your story in the soon to be released book Gumbo for the Soul: Males of Color Share Their Stories, Meditations, Affirmations, and Inspirations? Dr. Charles Barrett: I truly believe that seeing is believing. In talking about his own life as a child, I recently heard Quincy Jones say, “You want to be what you see.” The book was a great opportunity to inspire and encourage readers, particularly young men of color, that they could overcome seemingly insurmountable obstacles by sharing personal accounts of how I did as well. Having met a Black school psychologist for the first time when I was in graduate school, I wanted to expose young readers to the possibility of what they could become and achieve. Being a part of a collection of writers from different walks of life and professionals representing a variety of disciplines, I felt that the more we could expose young people to, the more options they would have about what they wanted to pursue for their own future. Dr. Michael Robinson: What do you hope the readers of your chapter take away after reading your story? Dr. Charles Barrett: First, I would like the readers to be encouraged and to feel hopeful about their current circumstances. Despite the reality of their challenges, after reading the chapter that I’ve written, I would like them to say, “If Charles could do it, I can do it.” I also want them to realize the importance of helping others, not only after they accomplish their goals, but while they are pursuing their dreams. Dr. Michael Robinson: How do you live your triumphs/victories in a way that empower other people of color? Dr. Charles Barrett: Although I enjoy supporting and mentoring young people, I am especially interested in helping those who represent historically marginalized backgrounds. As I teach, serve as a psychologist, and in my various leadership roles through state and national organizations, I try to create opportunities for young people to become involved in school psychology and to make meaningful contributions to the field. I have found that if we extend an invitation to students, they are often very willing to participate. I want young people to see that there is a place for them in school psychology and that their voices and perspectives matter. Anchored by an unwavering commitment to equity and justice, Charles Barrett is lead school psychologist with Loudoun County Public Schools and an adjunct lecturer in the Graduate School of Education at Howard University. Actively involved in the training and development of future psychologists, he serves as assistant director, internship supervisor, and chair of the Committee on Diversity for LCPS’ APA-Accredited Doctoral Internship in Health Service Psychology. His current leadership positions include being a member of the Publications Committee, co-coordinator of the Bilingual Interest Group, co-chair of the African American Subcommittee, chair of the Social Justice Committee, and the Virginia Delegate to the NASP Leadership Assembly. ​Charles earned his undergraduate degrees in Psychology and English from St. John’s University. His graduate studies in education and school psychology were completed at Lehigh University.